I was really excited to be given the opportunity to ask author Christina Crook a few questions about her writing and experiences in self-publishing. Christina is the author of YA fantasy adventure novel The Poisonwood Shadows and The Modern Writer’s Bucket List, a guide for aspiring writers which includes ideas to prompt creativity and promotional advice. You can find out more on her website, or follow her on Twitter, Tumblr, Pinterest or Goodreads. When did you first get an interest in writing? I have always been interested in writing, since I was really young. I used to love to plan out my own book series when I was about nine and always planned on being an author. 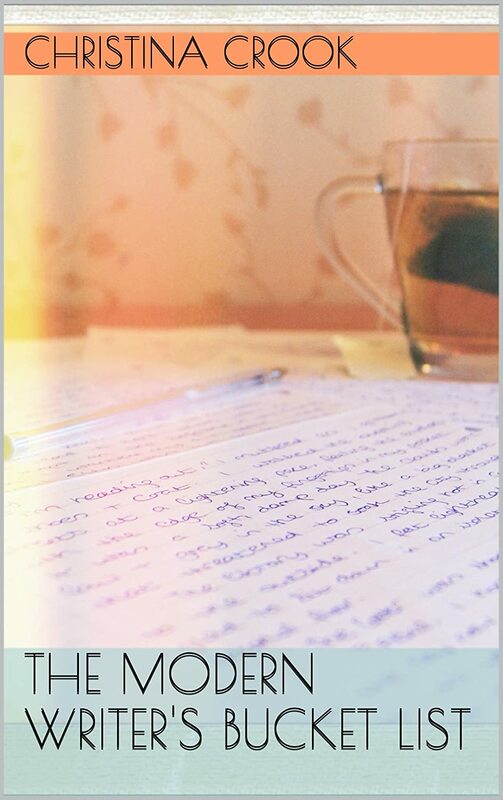 I wrote a lot of short stories and there were many uncompleted writing projects over the years! The dream got a little bit lost in my teens and early twenties (I thought I wanted to act! ), but I found an old piece of school work describing how I’d be a writer when I grew up and it clicked that that’s what I wanted to do, so I slowly started writing again. It took a while to get back into it, but it’s been great to figure out how to write over the last few years. 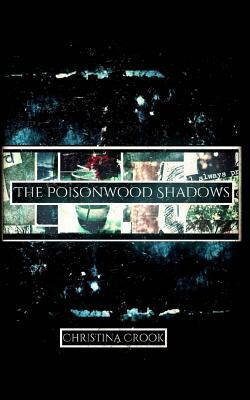 What inspired you to write your first novel, The Poisonwood Shadows? It came to me in a dream (which sounds weird, but I have very strange, vivid dreams! ).There was a mysterious ‘shadowy’ character (very handsome!) on a rooftop in a city watching a girl in her room. Not in a creepy way though, more in a protective sort of way! It developed from there and somehow once I began writing the story seemed to find its own way. There are a lot of things I took inspiration from, various songs and films and pictures. I tried to pin all the different imagery I had in my head onto a board on Pinterest! I don’t want to spoil the ending for potential readers, but I’d love to know what happens next in the story. Do you have any plans to write a sequel? I wasn’t originally planning to write another one, as I enjoy books that are standalone novels. The Poisonwood Shadows is very self-contained, however quite a few people have asked me that question (even demanded a sequel at a recent event I did!). I have had an idea for another novel set in the ‘Realm’, but it would be set in the city of Stormcroft this time. I really hope to write this out eventually. I would definitely include some Poisonwood characters in there as well! Scarlett is a brave and independent protagonist, and is a positive role model for young women. Where did the idea for her character come from? I got a bit annoyed after reading novels where the female characters are aimless and only really looking for a man. There have been lots of great novels recently with amazing female protagonists, so obviously I’m not the only one who was irritated by this trend! Many female characters seem more than willing to ditch their dreams, their friends, families and careers in order to win their man and it’s a ridiculous and unrealistic message to be distributing to young women! I really wanted to write a character who goes on her own journey and is so determined to be strong and do her own thing, even around those who are trying to shoot her down. It happens to many of us every day in small and large ways, and the message is to always keep fighting in our own quietly indomitable way. At the time it seemed like a bit of an impossible task to get an agent or publisher (back in 2012), though since then the entire industry appears to have changed a lot. I was a bit impatient and didn’t really try sending the book out to agents. I read a lot about self-publishing and thought it sounded like the way forward as I liked the challenge of doing everything myself. I love to be creative, so being able to do the cover myself and come up with various marketing ideas was fun! Is there any advice you could offer people thinking about self-publishing their own writing? Do you currently have any writing projects underway at the moment? I do. I have just finished the first draft of my second novel, which is a dystopian adventure/action/romance novel. I loved writing it and am so excited to complete all the edits. I’m attempting to send this one out to agents first so hopefully this will end up published eventually. I’m also working on a third novel, which seems to be a bit of a young adult horror, but it exists more on scraps of tiny paper than anywhere else. The Modern Writer’s Bucket List is available as an eBook. Previous Post Words & Geeks Book Club: September Book Announced!